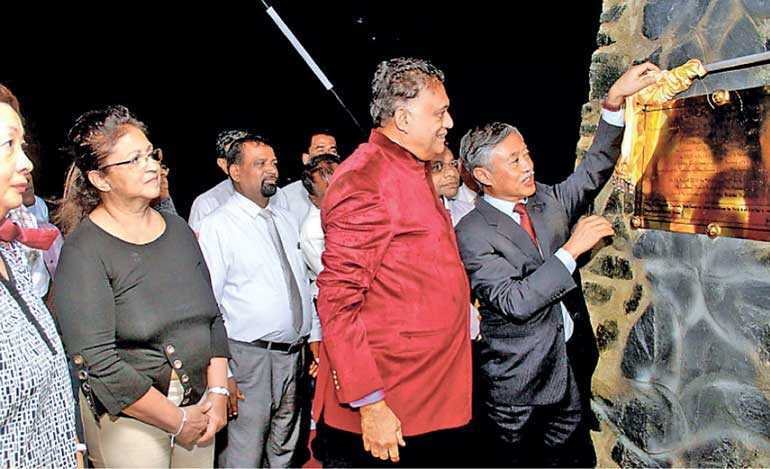 The Governor’s Jetty in Trincomalee was opened recently by the Japanese Ambassador to Sri Lanka Kenichi Suganuma on the invitation of the Eastern Province Governor Rohitha Bogollagama. Akiko Suganuma and Deepthi Bogollagama also participated. According to the master plan, the first step would be the setting up of a special planning and development authority, which will be called the ‘Master Plan Implementation Unit’, which would be later upgraded to ‘Trincomalee Metropolitan Planning and Development Authority’. Meanwhile, Jurong Consultants Managing Director Philip Tan said that the plan would witness the development of an international airport, a new city centre, multi-story parking centres, an amusement park, an international cricket stadium, several highways, specialised highways such as dedicated freight highways, a cruise terminal, container terminal at China Bay, an oil refinery and an LNG power plant. He further said that the entire Trincomalee project is to be completed by 2050.